YOU GET ALL THIS! Valued at over $820! 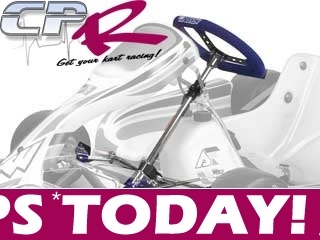 Designed as a direct replacement to fit PCR AND MANY OTHER KART DESIGNS where bearings are fitted to frame rather than the stub axles themselves. Click the pictures above to enlarge to see the dimensions. Postage - Add Approx. minimum $25 individually from different sellers. Designed as a direct replacement to fit ARROW, CRG, AND MANY OTHER KART DESIGNS where bearings are fitted to stub axles rather than the frame. 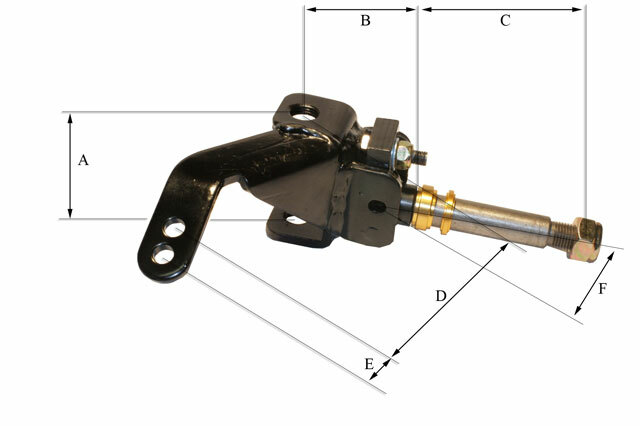 ABSOLUTELY BRAND NEW complete steering assembly! Bolt-on and GO! Comes with everything you need to connect it up and use. PLUS FREE countersunk washers, bolts and nuts. Postage - Add Approx. minimum $75 individually from different sellers. Not sure what length you need? Click here to view our guide and sizing grid. BRAND NEW leather-look steering wheel. Stitched. These sell for approx $100-$130 in stores plus $15 shipping. Really nice looking and feeling Go Kart Steering Wheel. High Quality turned aluminium alloy. These sell for around $80 per rim ($160 pair) in stores.